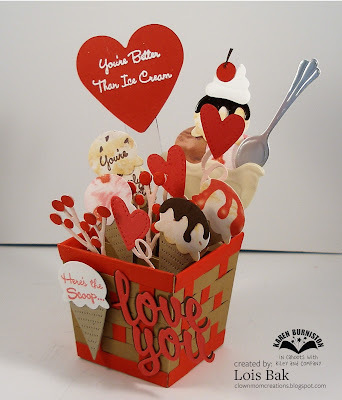 Clownmom Creations: Karen Burniston DT Challenge -- Love, Sweet Love! Valentine's Day is right around the corner, and the Karen Burniston Design Team Challenge this month is all about love -- Love, Sweet Love. Of course, there's a bit of a twist involved. We had to include some chocolate on our cards. Who doesn't love chocolate? 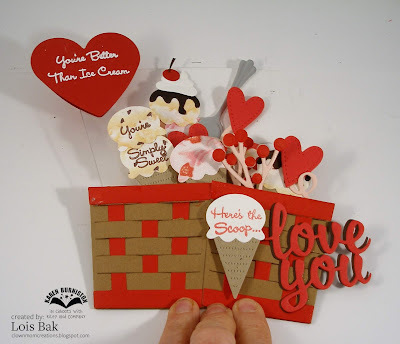 I must admit that I have a favorite die from January's release -- the Woven Basket Pop-Up. I used it, as well as some of the dies from the new Ice Cream Sundae dies for my card. Ice cream is one of my downfalls, which is why I don't buy it for my freezer very often. But this ice cream has no calories whatsoever! 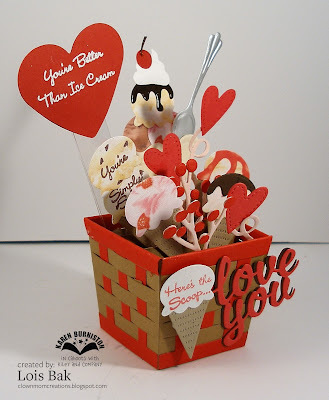 I used a couple of sweet sentiments from My Favorite Things to convey my message of Love, Sweet Love. And there's lots of chocolate on this card as well -- mainly the fudge sauce, but there's also a scoop of chocolate ice cream back there in the sundae. 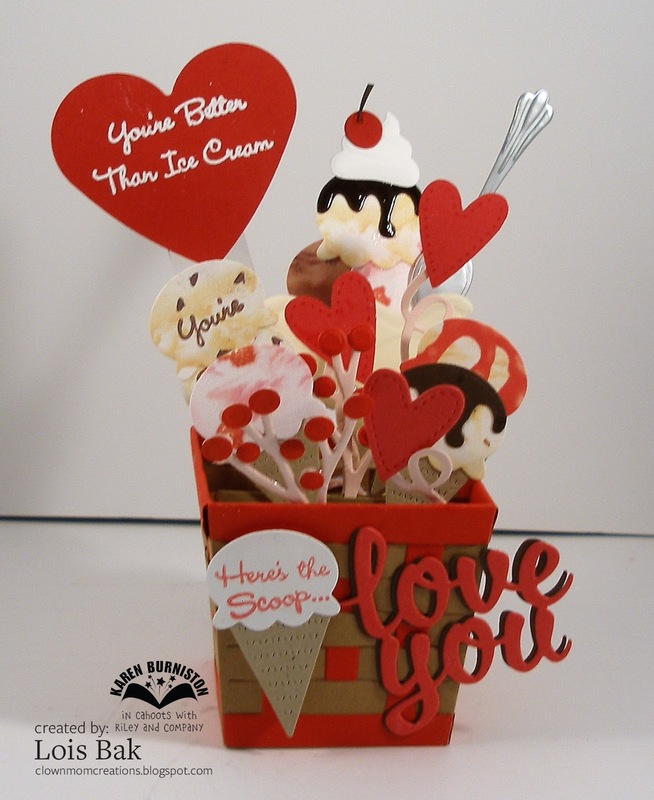 The "love you" on the front is from Word Set 9 - Love, and the heart at the back is a punch. I used some small hearts from the Karen Burniston Heart Pivot Panel die and the balloon strings from the Explosion Pop-Up. One thing I love about this Woven Basket is that it folds flat for mailing. I hope you like this calorie-free ice cream delight!